United Lodge of Theosophists, ULT, in 1909.
for instance, the editors and publishers of books. Robert Crosbie was born January 10th 1849, in Montreal, Canada. Both his parents were connected with the Hudson Bay Co. The “psychic powers latent in man” [hypnotism, mesmerism, clairvoyance and telepathy] were seen by him to exist, but their rationale was still to be understood. He sensed there was danger in those, and also sensed that he was receiving “some guidance” which he later said, helped him avoid “unconscious black magic practices.” Crosbie always had a strong regard for the rights of others, and, always exercised a strong moral control over himself. Selling their business in Montreal, Crosbie and his partner went to Boston, and started another shoe and leather manufacturing business. It became well known and was highly respected. In 1888 he heard of the proposed establishment of a branch of the Theosophical Society in Boston. As the word: “Theo-Sophia” suggested much to him, Crosbie went to the first meeting. He recognized at once that this was what he was searching for, and he joined the Theosophical Society immediately. He was admitted on June 5th, 1888. Crosbie was elected Secretary of the Boston Branch of the Theosophical Society. Mr. Griggs was its President. On Mr. Griggs retirement, he was made the President of the Boston branch. He helped organize the 8th Convention of the American Section of the T. S. in Boston, (April 28/29th, 1895). It was during this convention that the American Section passed resolutions that transformed it into the THEOSOPHICAL SOCIETY IN AMERICA, giving it full legal autonomy. During this period Mr. Judge was attacked, exonerated, and, later, persecuted again by the chief officers of the T. S. outside of America. Those were Col. H. S. Olcott the President Founder, and Mrs. Annie Besant as President of the British and European Sections of the T S. Contemporary Theosophical magazines printed articles and contributions on this. If one considers them altogether, one may reconstruct both motives and events. Neither of these two officers appeared to have understood that Mr. Judge (and Mr. Crosbie in Boston) stood primarily for Theosophy (as HPB did) and not only for the T S. To them, the Theosophical Society was a useful tool, to be sustained as a promulgating body for the doctrines of Theosophy. Mr. Crosbie supported Mr. Judge’s principles fully. He acted as one of the “witnesses on the scene.” He kept the “link” of pure Theosophy “unbroken,” after Mr. Judge’s death. The hints given by W.Q.J. during his life in regard to Crosbie were not grasped by those around him, who had what they fancied to be their own positions. And, in addition, seemed to be glamoured and deluded by the psychic powers Mrs. Katherine Tingley exhibited (she had only become a member in 1895 - for a year - prior to Mr. Judge’s death). In New York, Mr. A. E. Neresheimer, who was Mr. Judge’s executor and Mr. E. T. Hargrove went through Judge’s papers. 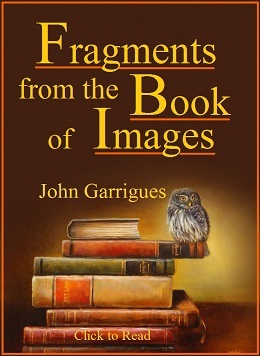 They found what was later described as an incomplete and very fragmentary, cryptic diary of Mr. Judge’s, but which Hargrove claimed (in 1896) to be an “occult” diary; and in this, he said he detected that Mr. Judge’s indicated that Mrs. Tingley was to “succeed” him. She had been of help to Mr. Judge during the last year of his life which was spent in great discomfort and illness. However this gave her no special “position” in regard to the management of the T.S. Many years later (1923), Mr. E. A. Neresheimer made a deposition outlining these events, and in that, he reversed some of his earlier pronouncements, on which the “succession” of Mrs. Tingley had been based. This deposition is available. Mr. Judge died March 21st l896. Mr. Crosbie was in Boston. Mr. Crosbie, in Boston was in cordial relations with Mrs. Tingley who had been placed, shortly after Mr. Judge’s death, in the position of “Outer Head” of the E S Section of the TS in America. He retained his supervision of its affairs over the area comprising the New England states. Mr. Crosbie married his second wife: Josephine Parsons, on April 10th 1900, in Manchester, N. H. They had two children: a daughter named Kathleen, (Kay, Kittie) and a son: Cameron. Mr. Crosbie was summoned by Mrs. Tingley to take up residence in Point Loma outside of San Diego, California, where a Headquarters had been located for the “Theosophical Society in America”, now renamed “UNIVERSAL BROTHERHOOD and THE THEOSOPHICAL SOCIETY”. Conflicting reports were circulated from the Point Loma organization as to why Mr. and Mrs. Crosbie left the Point Loma establishment. None of the family assets which he turned over at the time of entry were returned to him. He and Mrs. Crosbie, when they left were left penniless. Mr. and Mrs. Crosbie found a house to rent in South Pasadena. He secured a job as a bookkeeper with the Los Angeles Times. This work was arduous and required long hours standing, and was not well paid. Like many others he rode the “Red Cars” (street-cars) to work. Mr. Crosbie became acquainted with his neighbors in South Pasadena. He found that they were interested in theosophical ideas, and with their joint interest a study class in Theosophy was started, using Mr. Judge’s The “Ocean of Theosophy,” and Mme. Blavatsky’s “The Key to Theosophy” as the first texts to be studied, and also the “BHAGAVAD GITA”, the Theosophy of 5,000 years ago. A year later this “Theosophical Society in America” decided to change their appellation back to: “The THEOSOPHICAL SOCIETY.” Since this was considered injudicious, some in the L.A. Branch rejected the change. Mr. Crosbie and 7 others decided to organize on their own, adopting the original principles and the original program of the Masters which HPB and Mr. Judge had embodied practically during their life-time. The United Lodge of Theosophists, U.L.T., was launched. The DECLARATION is its only basis. An initial explanatory statement will be found in “Theosophy”, volume 23, p. 337, and ‘THE FRIENDLY PHILOSOPHER”, p. 412-14. The “Third Section” was said to be restored by the formation of the U.L.T. (“Theosophy”, volume 7, p. 289; and the pamphlet “ULT ITS MISSION & FUTURE” (Theosophy Co., Los Angeles), p. 8. The “semi-esoteric character of the U.L.T.” was a phrase that Mr. Crosbie used. He also said that the ULT had to do work which the various Theosophical Societies, then in existence, had all failed in. As regards himself and family, Mr. Crosbie was always well dressed in public, at work, and at the Lodge rooms, so that Theosophy might not be rated on a poor personal appearance. He made a point of this to all those who worked at ULT. Letters “In The Beginning” (“The Friendly Philosopher”) were written by Mr. Crosbie to early students at various ULT lodges out of the San Francisco and other areas. These few letters concerned themselves with the principles on which the ULT was established. THEOSOPHY SCHOOL was started. This activity was adopted and implemented by most ULTs as they became established. Something of his firm principles and the impersonality of his life and work can be gained from his article, printed in the July 1919 by THEOSOPHY magazine, “Is Theosophy a Progressive System of Religion?”. It is valuable to note that H.P.B.’s last article was “MY BOOKS”, published in “Lucifer” magazine for April 1891. 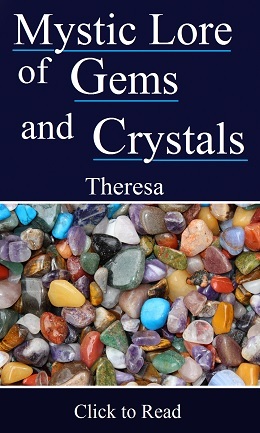 It is a resume evidencing the nature of her writings as the recorded teachings of the Masters of Wisdom. 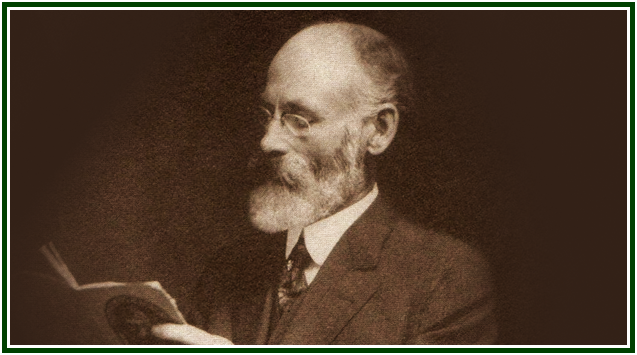 In April 1896 Mr. Judge’s last article appeared in “The Path/Theosophy”: “H.P.B. WAS NOT DESERTED BY MASTERS”- it is his statement confirming his belief in the reliability of H.P.B., the Messenger. Mr. Crosbie’s last article: “IS THEOSOPHY A PROGRESSIVE SYSTEM OF RELIGION ?” (“THEOSOPHY”, July 1919) reiterates the position that Theosophy is not a constantly changing set of ideas, but a consistent and complete body of knowledge to be studied, applied and promulgated as originally presented. Following the principles of the ULT DECLARATION neither Mr. Crosbie, nor any student of the ULT has made any claim to be a “successor”, “leader” or “teacher”. Each student and inquirer has been carefully put into direct touch with H. P. B., our teacher, through her writings - original and unchanged. Each has been encouraged to study, work for Theosophy and practice that universal brotherhood which forms the unifying basis of all Nature. Mr. Judge’s writings have been selected for study and reproduction because they most faithfully and carefully follow and supplement Mme. Blavatsky’s writings and all students are encouraged to prove this for themselves. *“THE FRIENDLY PHILOSOPHER” - Letters and talks by R. Crosbie. *“THE THEOSOPHICAL MOVEMENT: 1875 - 1925”, edited by R.C. *“BECAUSE - FOR CHILDREN WHO ASK WHY” - short stories illustrating practical Theosophy for children. edited by R.C. *“THEIR COLLEAGUE PASSES” -- an appreciation of his work in and for ULT and “Theosophy” magazine, at “Theosophy” magazine, volume 7, p. 289. *“THE GUIDANCE OF ROBERT CROSBIE” - “Theosophy” magazine, volume 26, p. 337. *“LOYALTY” [OF ROBERT CROSBIE ] - “Theosophy” magazine, volume19, p. 337. *“THE RECORD OF ROBERT CROSBIE” - “Theosophy” magazine, volume 25, p. 337. *“THEOSOPHISTS AND ROBERT CROSBIE” -“Theosophy” magazine, volume 24, p. 337. *“ROBERT CROSBIE” - “Theosophy” magazine, volume 21, p. 337. *“HE KEPT THE LINES UNBROKEN” - “The Theosophical Movement” magazine, volume 16, p. 99. *FOUNDER OF THE ULT - “The Theosophical Movement” magazine, volume 4, p. 113. *“THE U.L.T. AND ITS FOUNDER” - “The Theosophical Movement” magazine, volume 14, p. 113.